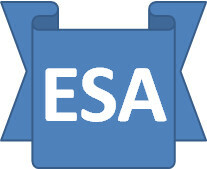 The ESA Saga: Civil Service Code of Ethics - worth the paper it is written on? Civil Service Code of Ethics - worth the paper it is written on? The Civil Service Code, first published in 1996, sets out the core Civil Service values and the standards of behaviour expected of all civil servants in upholding these values. I wonder how many civil servants (and by implication politicians) have a) read it and b) give a toss? I am thinking particularly of those associated with ESA/WCA etc. where patently none of these apparently preciously held values apply. When outsourcing, particularly when the business partner has direct contact with the end user, it is de riguer to demand identical standards from the service provider, so this all applies to Atos too. There is clearly an internal and external problem monotoring compliance!!! Government Gaff of the Day? WHY SO MANY ERRORS WITH DECISION MAKING? Promise over payments during ESA appeal? FoI Act Request - Who makes what decision? Dear Mr Osborne - give it a break!